The long vacant location of the Honda Design space in Old Pasadena, appears to have a new tenant in progress. 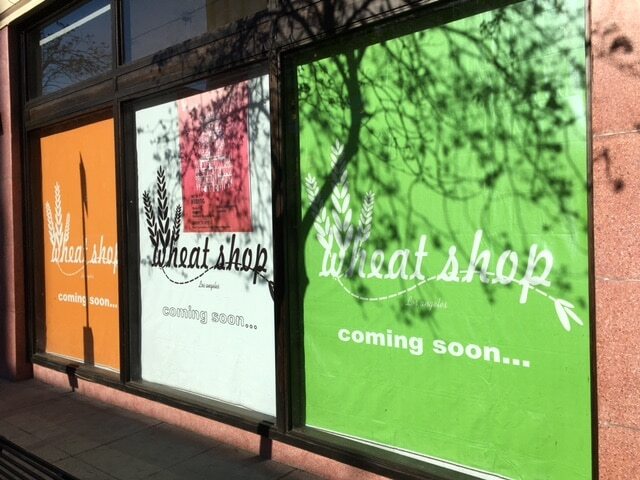 Signs are up in the window for Wheat Shop. 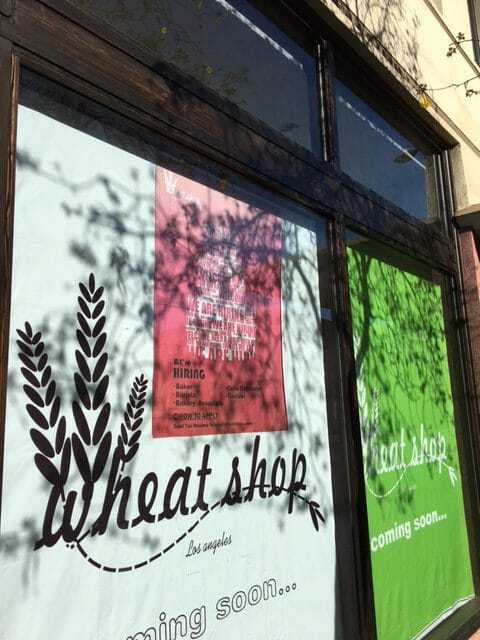 Details are scarce but we expect to see more info on Wheat Shop soon. 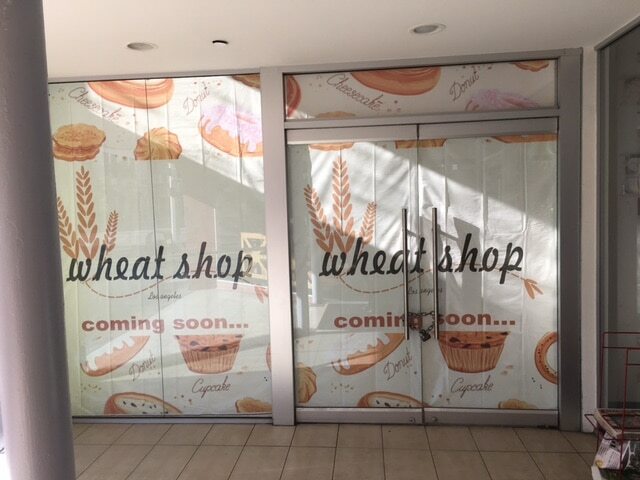 Bakeries have been opening around Pasadena, with several new locations recently opened or coming soon. Consumers wants freshly baked goods. The address appears to be 43 N Raymond Ave, Pasadena, CA, located next to Chutney Tandoori Kitchen. The first, the original, the 8th Annual LA Food Fest is back! YOUR TICKET INCLUDES EVERYTHING. YES. EVERYTHING! Dust off those stretchy pants. MARK YOUR CALENDARS & DUST OFF YOUR STRETCHY PANTS! WELCOME BACK TO THE FIRST, THE ORIGINAL – LA FOOD FEST! ONE TICKET PRICE INCLUDES EVERYTHING! YES. EVERYTHING! We’re bringing LA’s favorite tasting event back to the Los Angeles Memorial Coliseum with more world class, award winning top chefs and restaurants, out of town headliners, your favorite trucks, street stands and carts and more, all in one place for summer fun. All of our vendors are hand picked to bring you the best of the best and help you discover new favorites. Sample signature bites from a curated selection of 100+ (yes, one hundred!) food vendors from hot list restaurants and celebrity chefs to old school carts and stands plus craft beer gardens, craft cocktail bars, the iced coffee lounge and everyone’s favorite – our ice cream social. Early Bird Tickets + Giveaways! Biy an Early Bird ticket and be automatically entered to win! As a thank you to our loyal fans, Early Bird tickets are priced at just $50 GA and $80 VIP – a $15 discount! All early bird ticket buyers will be automatically entered into our sweepstakes to win! Early Bird ticket sales and automatic entries to the sweepstakes continue through Monday, May 1st. * 3 nights stay for two at the five star Hotel Solar de las Animas in a superior room. The Hotel Solar de las Ánimas is set alongside the church of “Santiago Apostol” right in the heart of the town of Tequila, nested at the foot of the great volcano. It’s a perfect location for guests to explore and enjoy all the attractions and tours of the area, as well as to experience day-to-day life in this “Pueblo Mágico” one of Mexico’s famed “magical towns”. Breakfast included at Restaurante La Antigua Casona during the stay. * Tour to “La Rojeña Distillery.” A private visit to discover the tequila way of life: “Jimadores”, “Horneros” and professional tequila blenders. We invite you to visit the oldest distillery in Latin America, La Rojeña. Immerse yourself in more than 250 years of tradition; learn first-hand the process of tequila making. * Jima demonstration at Jose Cuervo fields. A visit to discover the tequila as a lifestyle with the “jimadores” and tequila masters. * Tequilero Gourmet at Restaurante La Antigua Casona. Learn how to combine food with different types of Tequila. Such a unique experience is intense. * Round trip flights from LAX to GDL courtesy of Delta and Aeromexico. VIP ground transportation GDL – Tequila -GDL courtesy of Mundo Cuervo. Taxes and gratuities not included. First Prize: One lucky winner will win a fully loaded URB-E! URB-E is the global leader in lightweight foldable electric vehicles and mobile power sources. Check ’em out here. Second Prize: Three lucky winners will win signed copies of Nguyen Tran’s new cookbook “Adventures in Starry Kitchen.” One of those lucky winners will also receive a private cooking class with the banana clad master of balls himself. Runners Up: Let us upgrade you. Ten lucky Early Bird GA ticket buyers will have their pair of tickets upgraded to VIP on us. PAY ONCE — ONE ALL INCLUSIVE TICKET INCLUDES EVERYTHING! * All included in one ticket price!!! L.A. Kitchen is a food recovery, job training, volunteer engagement, social enterprise, open source, healthy meal making machine of change, justice and opportunity. Located in NE L.A., the 20,000 sq ft L.A. Kitchen hosts daily cooking / volunteer events that celebrate L.A.’s diverse food cultures, while producing thousands of meals designed to nourish and uplift. L.A. Kitchen provides nutritional support for numerous nonprofit partners throughout the city, but emphasizes support to programs serving older citizens, or those that include inter-generational activities. A home produce delivery service focused on providing affordable fruits and vegetables to consumers. They do this by sourcing “ugly” fruits and vegetables that usually go to waste on farms. These fruits and veggies taste the same on the inside but look a little “wonky” on the outside. Reducing food waste one box at a time! No extra charges for food, drink or adult beverages inside the event. The event is All You’d Like to Eat / Drink. Due to health regulations, only service dogs are allowed. Sorry, Fido! No lawn chairs, coolers, containers (including boxes, tupperware, etc), bota bags, or outside food and drink. Winners of the Grand Prize, First Prize and Second Prize must be present at announcement at the event (Los Angeles Memorial Coliseum) on Saturday, June 10 at 5:30p on the Main Stage. Winners must be 21+. No purchase is necessary to enter the sweepstakes. Entrants may submit an email to [email protected] with their first and last name, address, phone number, date of birth and a note about whether or not they’ve attended a previous event to be entered into the random drawing. All entrants must be 21+. Taxes and gratuities not included. This fall, Oktoberfest gets a makeover courtesy of the team at Rockit Beer Fest 2017. Gone are the greasy brats, lederhosen, and Bavarian folderol; in their place, you’ll find more than 50 craft beers from some of California’s most notable breweries, as well as inventive food (think ramen burgers and mac and cheese waffles) from greater Los Angeles’s exciting culinary teams. Festgoers will also have the opportunity to catch sets of live music, and check out the latest in high-tech gadgets, games, and virtual reality systems from brands including Samsung, Playstation, and more. t’s coming! The biggest summer event in Altadena – the Annual Picnic! Get tickets now online; from a Garden member; or by emailing [email protected] . Tickets are only $10 in advance, and go up to $12 at the gate. Kids under age 5 are free! And, with your ticket, you get music; a healthy, filling lunch; a resource fair, Garden tours; and a great time! It’s part old-fashioned county fair meets urban community party, and you can be sure that in addition to amazing BBQ, raffles, and resource booths, there’ll be politicians and local dignitaries on site, pressing the flesh. Check out these pictures of our 2016 Annual Picnic from now-retired LA County Supervisor Mike Antonovich’s office. We *really* appreciate all that the County does for us! The SiriusXM Free Listening Period ended yesterday and people are going to be looking for the best deal to keep SiriusXM Radio in their cars. We’re so excited to have this awesome deal on 6 months Select Satellite Radio for only $30. Over 140 channels of awesome. The Burbank Fire Department will provide free hands-only CPR training on Sidewalk CPR Day, on Thursday, June 1, 2017 from 4:00 pm – 8:00 pm at Palm Avenue and San Fernando Boulevard. Learn how to save a life with a quick lesson from Firefighters and staff from Providence Saint Joseph Medical Center. Effective bystander CPR provided immediately after sudden cardiac arrest can triple a victim’s chance of survival. The Burbank Fire Department is glad to team up with the Los Angeles County Emergency Medical Services Agency and American Heart Association to bring Sidewalk CPR to our community. Once trained, citizens are encouraged to download the PulsePoint app to receive notifications that someone nearby needs CPR. For more information, visit www.pulsepoint.org. The Pasadena Police Department wants to invite you to the 45th Community Police Academy(CPA). It starts August 3rd at the Pasadena Police Department and runs through September 21, 2017. It will be every Thursday night from 5:30pm to 9:00pm with the exception of one day class to be determined. If you are interested and would like an application please email Karla Kauhola at [email protected] or Sarah Presley at [email protected]. You can also call 626 744-4550 for more information. Class size is limited. We are looking forward to this class and can not wait to get started. The Citizen Police Academy (CPA) is an informative, eight-week classroom series that gives an inside look at Pasadena Police operations while discussing the principles of community policing. The purpose of the class is to promote a greater awareness and better understanding of local law enforcement’s continuously changing role in the community. 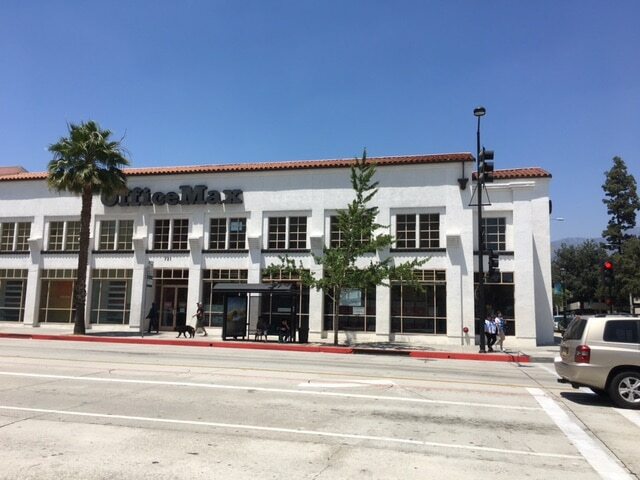 A conditional use permit of the OfficeMax in Pasadena is now scheduled for hearing with Total Wine & More applying for sale of alcohol at this location. The nearest Total Wine locations are Long Beach, Brea, Northridge among others. The Pasadena location makes geographical sense and would place it between two BevMo locations one in East Pasadena near Rosemead Blvd, and the other on Arroyo Parkway, near Glenarm. Total Wine & More is America‘s Wine Superstore® — the country‘s largest independent retailer of fine wine. We started in 1991 when brothers David and Robert Trone opened a small store in Delaware. Today, we operate 158 superstores across 20 states and continue to grow. 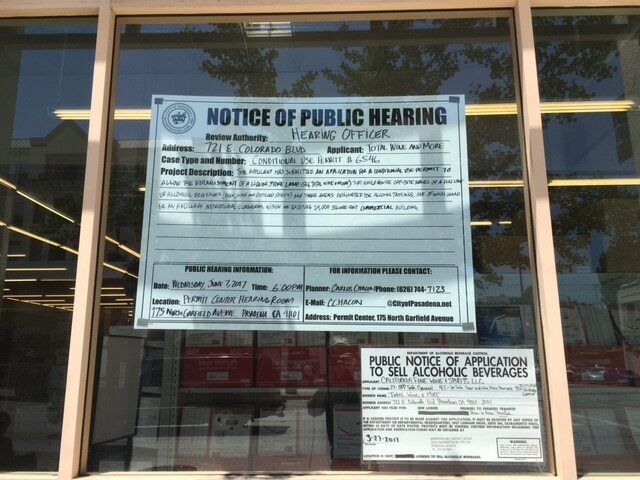 See signs posted on windows of OfficeMax Pasadena. Although we don’t know 100% that the permit will be issued, there’s a good chance it will, and the OfficeMax closing is eminent. Some sad news for residents of Pasadena and Altadena who would shop at the Vons grocery store on Allen and Washington Blvd in Pasadena. This Vons location is currently in negotiations with the landlord and is in danger of closing. This store has been here for many years, and is personally one of the best Vons locations. There are many shopping options, but recently another Vons closed on Fair Oaks and Orange Grove. This location was vacated by Vons and is being occupied by Vallarta Markets. The Vallarta location is set to open in the coming months. Apparently employees of the Vons location have been notified. Another story is starting to circulate that the Vons on California across from the Huntington Hospital is also in negotiations with the landlord and that if no deal it could be another Vons that closes. How is it that Vallarta Market is able to negotiate terms and Vons is not? Does Vons really just want to close unfavorable or markets not performing? Most likely yes. Is Vons parent company Albertsons considering buying Whole Foods? While we are currently having discussions with the landlord to continue leasing our Vons store on N. Allen Avenue in Pasadena, there is a possibility we will be forced to leave the store in the near future. We are disappointed by this situation and sincerely hope we can come to an amicable agreement so we may continue to proudly serve the Pasadena community in this location as we have since 1976. This story is receiving more attention, and we will see how the story develops. 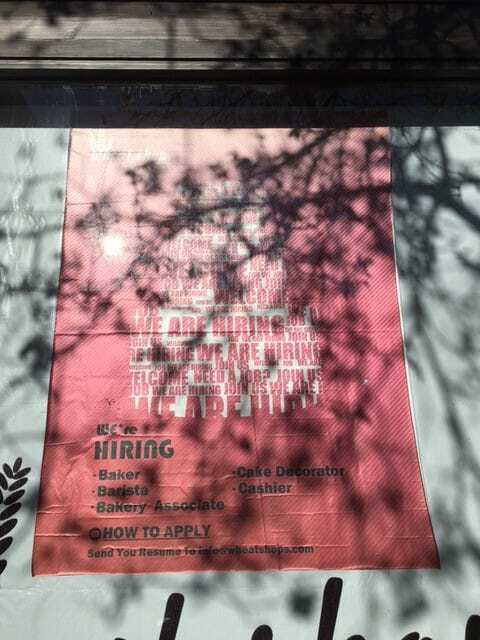 Maybe Vons would considering opening at the vacated Ralphs location on Lake in Altadena. Here is our history: we are two French guys who fell in love with California, that’s why we want to bring you a touch of real French taste. Let’s introduce us: Guillaume, a graduate in French artisanal pastry and bakery. Thomas who has talent in the cooking. We propose you French traditional high qualities pastries and breads making by hand daily with natural and fresh ingredients mainly organic. We also make American recipies and certainly fusions surprises. 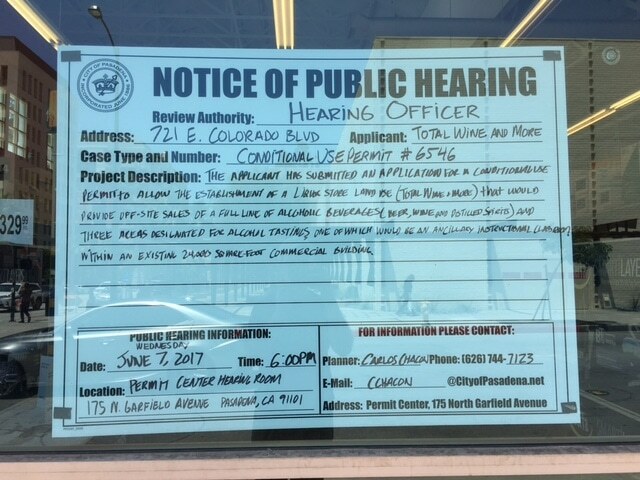 This is posted on the window, as the windows are blocked and construction is being completed on the Colorado Blvd location. The location previously occupied by Yummy Cupcakes, which closed several months ago. The property was for lease in Jan 2017. 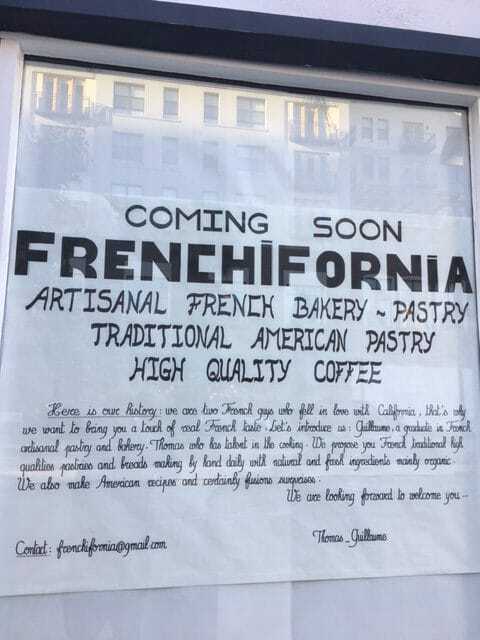 I am sure we will see more of FRENCHIFORNIA in the coming months, it sounds very promising. If you are a Pasadena resident you probably notice restaurant closing and new ones opening. Red White + Bluezz in the Playhouse District, their website is longer live. There may be others but these are some that caught our attention. The beer making scene in Los Angeles is making a strong push and there are dozens of new breweries that have opened in the past several years. Micro brews are setting the trends in high quality beers. Some the notable in the San Gabriel vicinity including some in the San Fernando Valley, SFV, Glendale and Burbank areas. 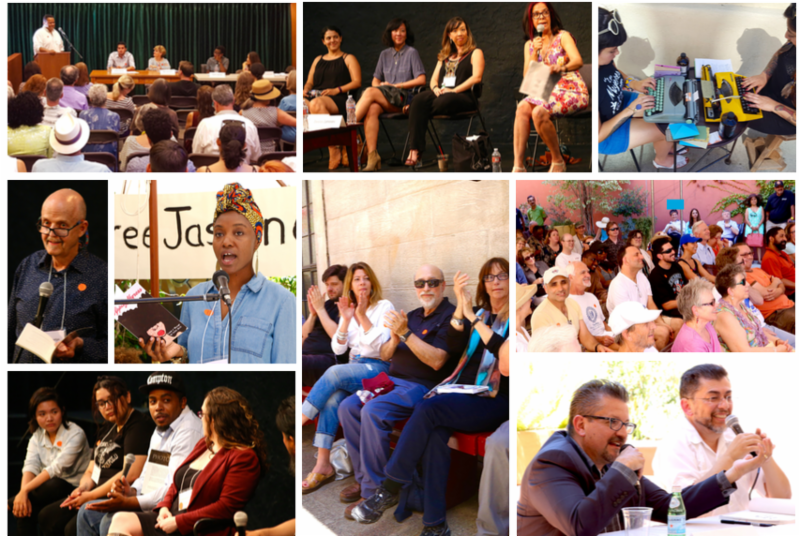 THIS WEEKEND OVER 180 AUTHORS AND POETS & ALL FREE! La Espanola VIP Tour and Paella Lunch, Saturday May 20, $50! Enjoy an authentic experience of Spain! Melting Pot Food Tours invites you to tour and dine at La Espanola! May’s special event at La Espanola Meats looks forward to welcoming you and yours! Parking available in lot and street. Enter through door at parking lot, and meet us right by the patio to the right of the grocery store entrance. Once signed up, you can look forward to a pre-event notice with more details. Ladies and Gentlemen ~ Damas y Caballeros! Please join us for a very special day with our friends at La Espanola Meats, LA’s first family of authentic Spanish-style charcuterie, cheeses, and imported specialties! We’ll begin with an exclusive tour of their manufacturing facilities, where premium sausages and cured meats are made from the finest traditional recipes used by the top producers in Spain. Alex will be our gracious host, and we promise that you will love meeting his acquaintance. Kindly be advised that since some of the units in their plant must be kept very cold, you are encouraged to dress in layers for warmth, or simply bring a jacket for touring through the plant. You will receive a pre-event notice with important reminders! After our comprehensive tour of the plant, we’ll enjoy the Spanish version of abbondanza at the table! We’ll start with tapas of meats, cheeses, olives and imported Spanish baguette then, our main course of freshly-prepared paella mixto ~ complete with shellfish, chorizo, chicken, vegetables, and imported piquillo peppers, will be served. Wine and dessert are also included for this amazing meal in the patio, where we hope you will feel like you’ve been transported to the heart of Spain! Shopping time is included, for buying your new favorite provisions at a 10% discount in La Espanola’s grocery store. Our own Chef Di is delighted to be your guide, and make recommendations for purchasing some of the most exquisite specialties this side of Barcelona. We’re bringing you this fabulous day, hosted personally by Diane Scalia, for the terrific all-inclusive price of $50 per person! Advance reservations are absolutely required and very limited, so kindly book your date with us soon! This is a great way to bring friends together, so please extend the invitation. For more detailed information and to make your paid reservations online, simply click here. to taste the authentic flavors of Spain! On Sunday, May 7th, 10:00 am to 4:00 pm, The Altadena Guild of the Huntington Hospital will present its 66th Annual Home Tour. This year’s theme is “A Stroll in the Altadena Highlands”. There will be four beautiful homes and gardens to view, each as unique as Altadena itself. The homes are rich in architectural diversity with beautiful gardens. Other highlights include a complimentary dessert and beverage in the Tea Garden (10:00 am to 3:00 pm); musicians playing throughout the day in many locations; shopping at fine art, jewelry, pottery and gift vendors; and vintage cars from the eras of the homes on tour. Our Bakery will again have wonderful homemade cakes, cookies, pies, candies and jams for purchase. We will have our famous Altadini Pub for some light refreshments including wine, sandwiches and a specially brewed beer for our tour. Coffee and pastries will also be available for purchase in the morning. Home Tour entrance location is at Highland Ave, the South (Will Call) and North ends of a one-block long street between Mendocino St and Altadena Dr, Altadena 91001. Tickets are $35 advance sale ($40 day of event) and can be purchased at the Altadena Guild web site at the link below. Corporate Center Pasadena (CCP) announces a new Farmers Market which will occur every other Tuesday in the CCP Plaza starting on Tuesday, May 2, 2017. The Farmers Market will be open between 10am and 2pm. For more information, please call 626-792-5161 or visit Corporate Center Pasadena. Watch this informative video about South Lake.